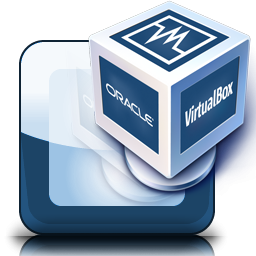 VirtualBox on Mac Again uses the free Virtualization Software VirtualBox to show the settings and features again who are not able to follow our previous guide. Our previous Virtualization Video Guide with Ubuntu on MacBook Pro with VirtualBox has shown how to use Virtualization Software VirtualBox on Mac. However, some visitors found it difficult. For them, without any Editing on Video, we are publishing another guide to focus on the required setup and settings in this guide named VirtualBox on Mac Again. Because of lack of utilization of Graphics card, VirtualBox will not give the best result by default. As more and more games are now available for OS X, may be in future this Game purpose usage of Virtualization Softwares will be obsolete. However, the idea of this guide VirtualBox on Mac Again, is not to go on that part. Please open it on YouTube and watch on HD. There is not much more to write about the process itself. This Article Has Been Shared 4309 Times! Cite this article as: Abhishek Ghosh, "VirtualBox on Mac Again," in The Customize Windows, June 1, 2013, April 20, 2019, https://thecustomizewindows.com/2013/06/virtualbox-on-mac-again/.